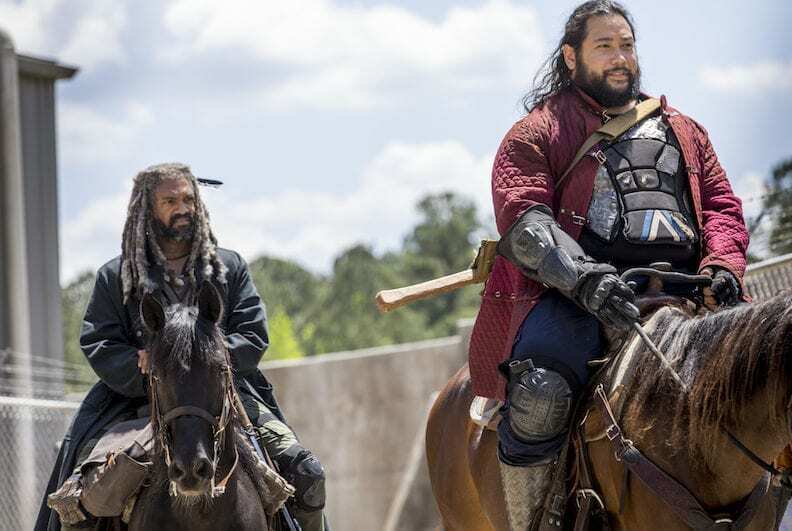 HomeFeatured12 Photos From ‘The Walking Dead’ Season 9 Premiere-Carol and Ezekiel get Romantic! 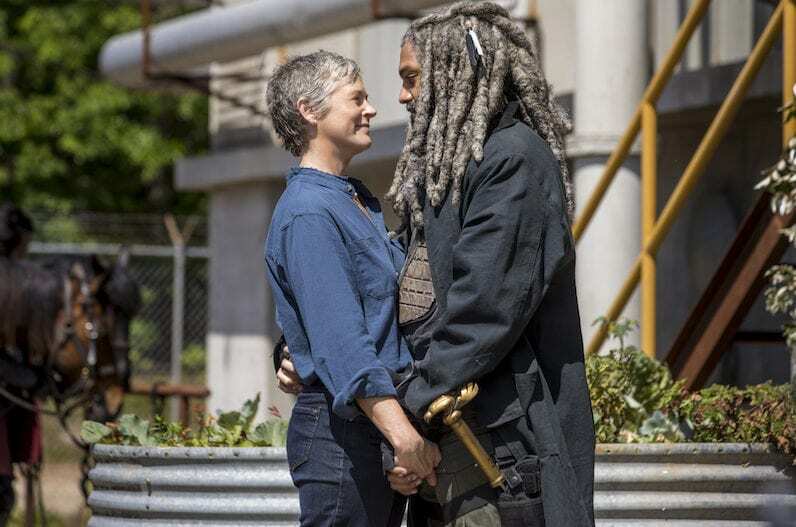 12 Photos From ‘The Walking Dead’ Season 9 Premiere-Carol and Ezekiel get Romantic! October 7th may seem far away, but based on everything we’re hearing about the upcoming ninth season of The Walking Dead it looks like it’s going to be well worth the wait. For years the cast has been saying in interviews that whatever season was approaching was the “best” and “most shocking” season so far, but heading into season nine the vibe feels completely different – but different in a good way. 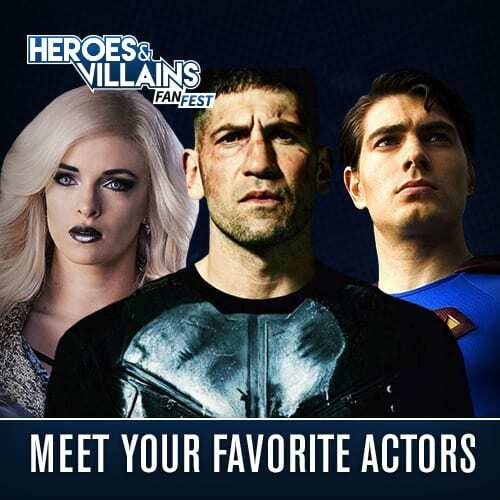 This time around the cast and creators can’t stop talking about how season 9 is reminiscent of the early seasons that fans adored so much and how it feels almost like a new chapter of the series is beginning. Everyone seems really excited and passionate about what’s to come and thanks to Angela Kang’s latest blog post, which was full of new images and intel, and these 12 new exclusive photos we totally see what they mean. They. Look. Awesome. Let’s dive in and check them out! 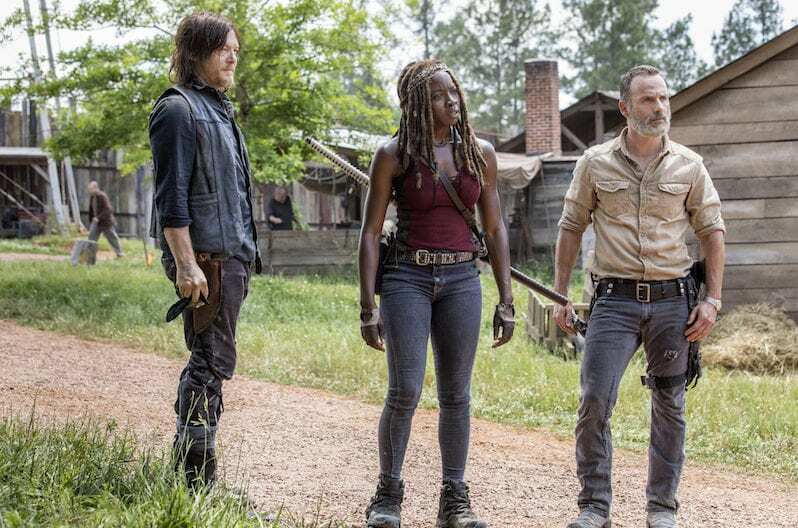 As long as season 9 has plenty of these three (while Andrew Lincoln is around) we will be happy. 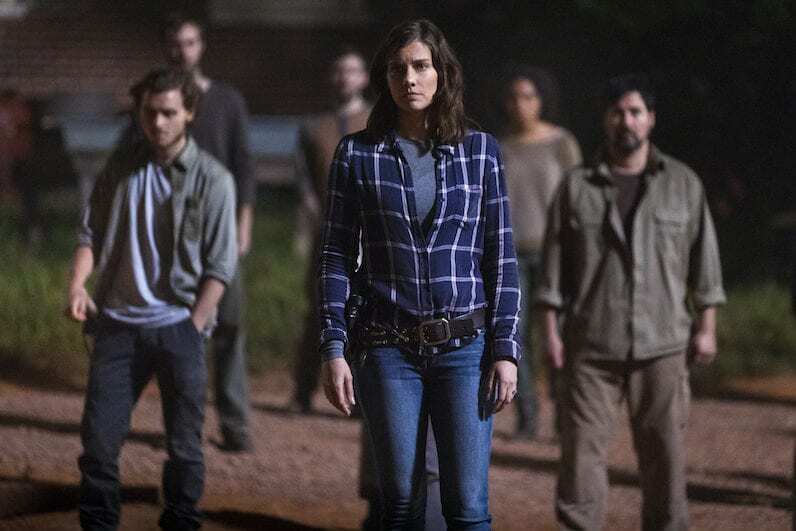 Angela Kang has teased multiple times that even though Lauren Cohan will be leaving the show midway through the season, Maggie will still have a huge leadership role at the Hilltop. It looks like Eugene got a nice little haircut! 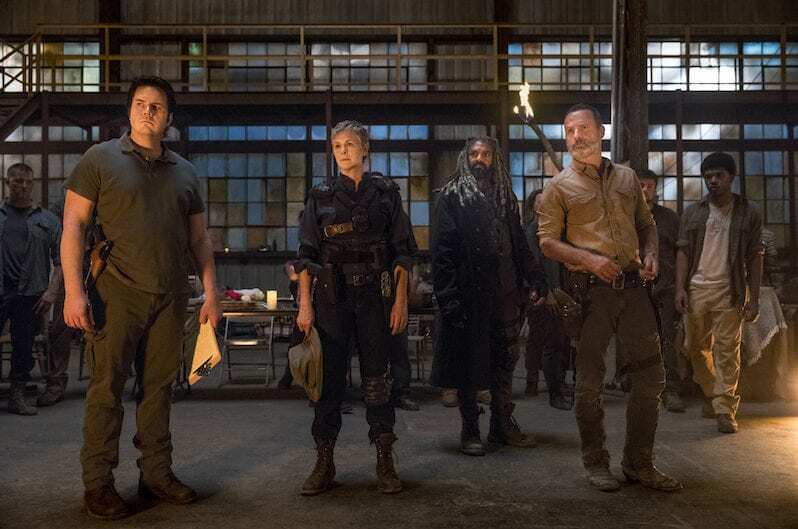 It’ll be interesting to see what role the Sanctuary will play in the upcoming season now that it’s no longer under Negan’s reign. The only two who give Daryl and Rick a run for their bromance money. We must protect Jerry at all costs! We learned earlier this month that these two would be coupling up, but nothing could prepare us for this insanely adorable photo. 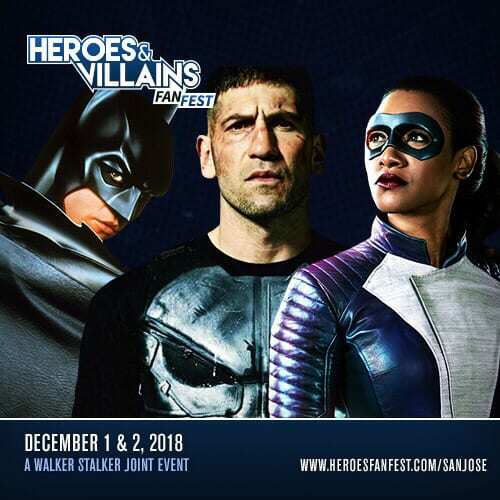 Fear not Carol/Ezekiel shippers! Kang has promised that the two’s friendship will be stronger than ever this season. 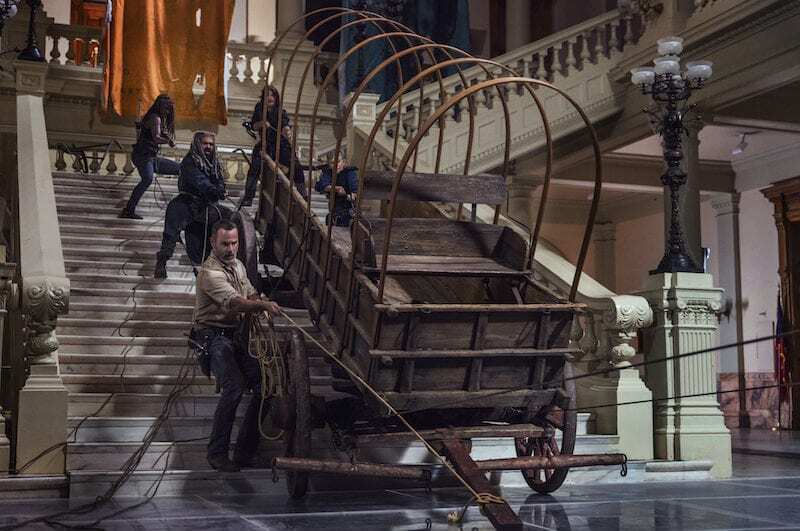 How to steal an antique wagon from the museum… National Treasure 4? Then take your brand new piece of history and ride off into the woods as if nothing happened. 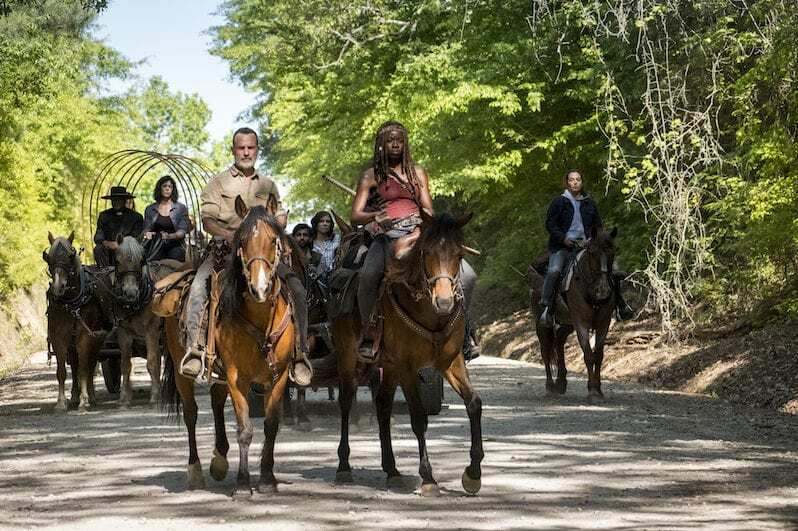 It’s been confirmed that the season will be jumping forward 18 months and they’re bringing back Rick’s horse from the Pilot – Tara is riding him in this shot. 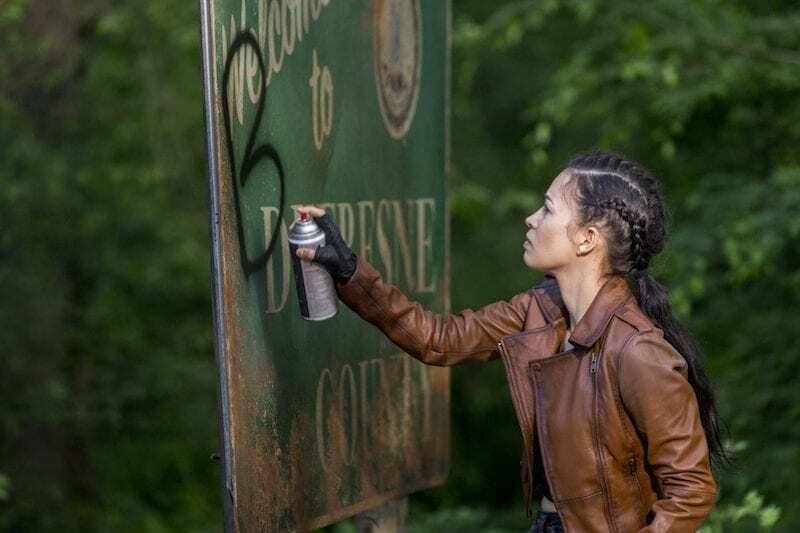 Much like Eugene, Rosita is also rocking a pretty badass new hairstyle. 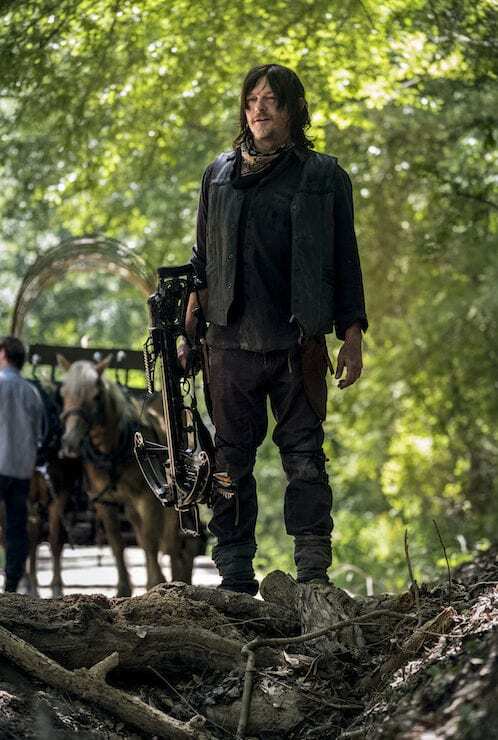 While Daryl’s crossbow is iconic, expect to see him rocking some new weapons this season. ” Norman helped to custom design a pair of knives that he can use for two-handed combat. They’re saw-backed Bowie knives with finger rings that allow you to quickly twirl the knives into different positions (you can grip them in either direction),” Kang said. 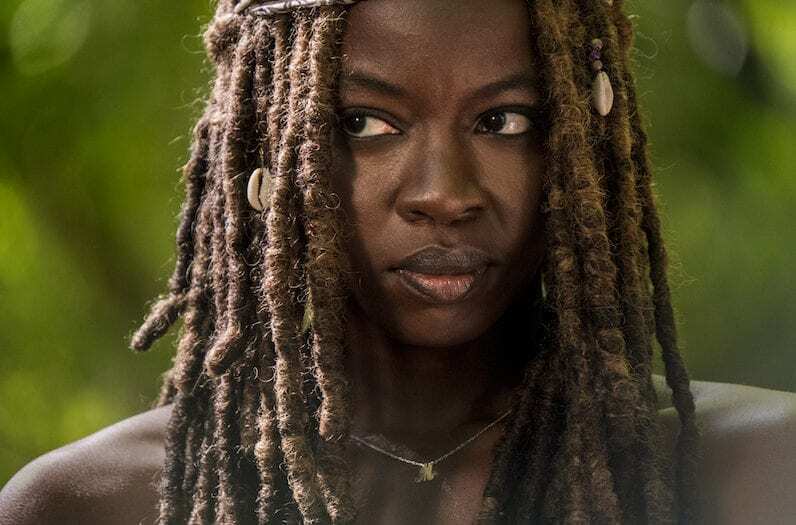 She also revealed that Michonne will be wearing a piece of Carl’s plaid shirt tied around one of her dreads to honor his memory. 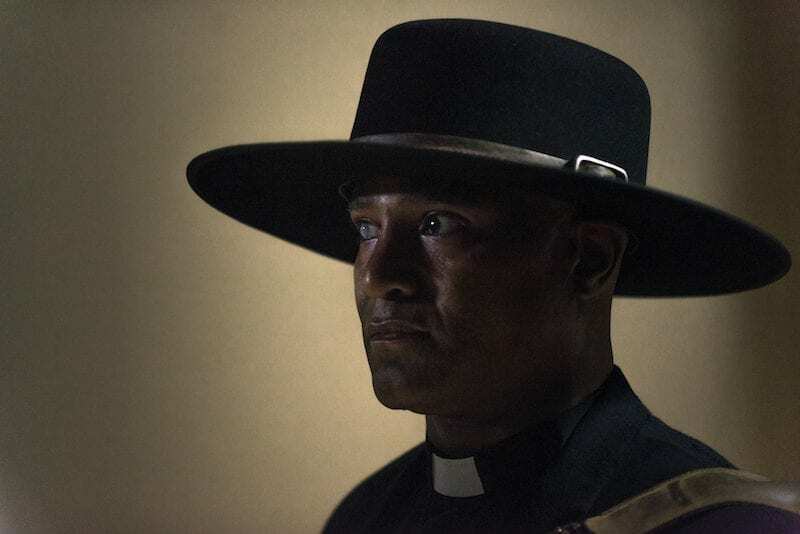 Father Gabriel may look like he’s on his way to Coachella, but something tells us he’s going to be a key player in season 9. What’s your favorite new image? 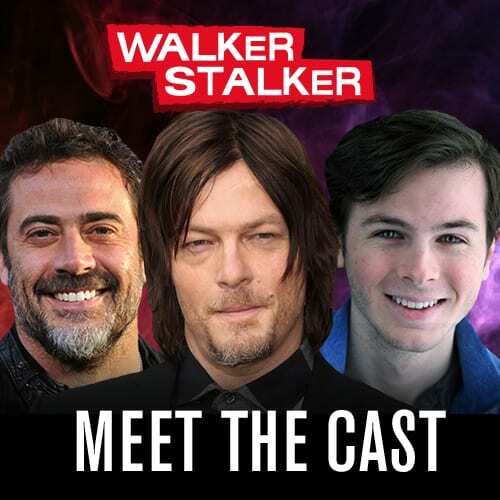 Are you looking forward to season 9 of The Walking Dead? What do you hope to see in the new season? 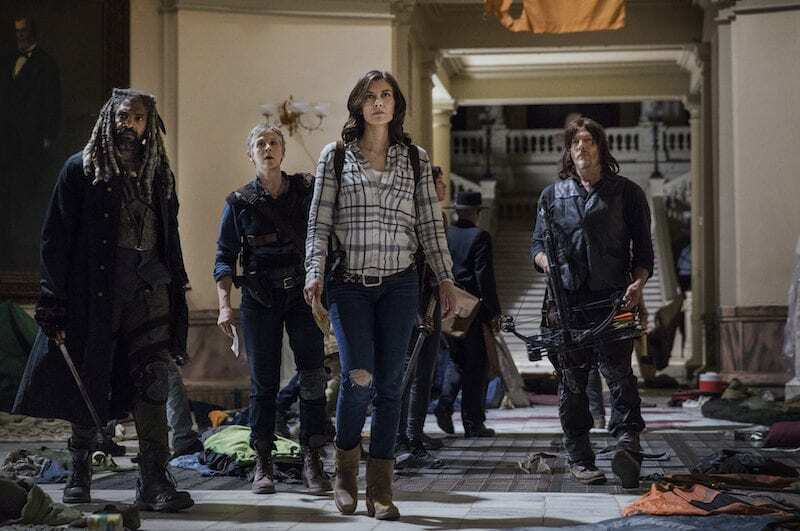 The Walking Dead returns to AMC with new episodes starting on October 7th.